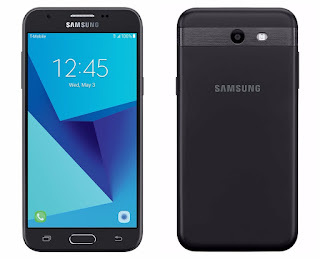 Samsung Galaxy J3 Prime sports a 5-inch HD (720x1280 pixels) display and is powered by a quad-core 1.3GHz Exynos 7570 SoC coupled with 1.5GB of RAM. The smartphone comes with 16GB of Internal storage, which is expandable further via microSD card (up to 128GB). On Camera, it has a 5-megapixel rear camera with f/1.9 aperture and a 2-megapixel front facing camera.Connectivity options on the Galaxy J3 Prime include Wi-Fi 802.11 a/ac/b/g/n, USB, LTE, GPS, and Bluetooth 4.1. The Galaxy J3 Prime packs a 2600mAh battery.Phone measures139.7x69.85x8.89mm and weighs 148 grams. It available through T-Mobile and MetroPCS in the US. The smartphone is available at a price of $150 through T-Mobile and is available with the option of monthly installments.